How is this exploratory helping you in understanding your host country historical background architecture, culture, and traditions? In exploratory, we get a chance to find a topic and research it, which helps me learn more about the architecture, culture, and traditions. 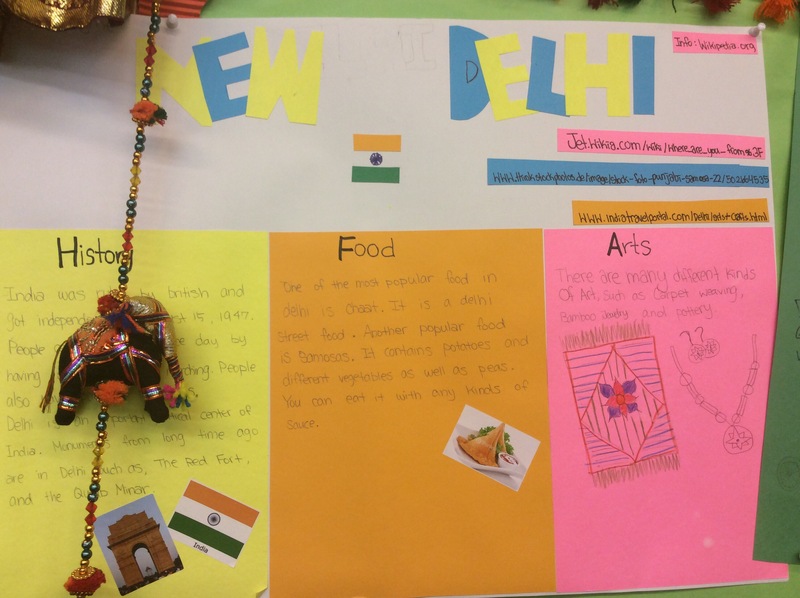 The seven cities project really was a big part of researching as well as the Kahoot projects which I researched about India’s national holidays. And on the field trips, there were monuments which helps us get to know the architecture. Express you views about the field trips that you have part of so far. I really liked the field trips because there were and there will be many opportunities to learn about architecture from the past and now. Also I liked it because we got to go with are friends. Describe your one exciting memory from class. I liked making our Kahoot, posters, and presentations. And I could work with different people for each project. 1. One thing that I learned is that you should never share any personal information including passwords and identity to other people. This is so that no one will come into your account and do something that you don’t like. 2. I also think that you should balance your time online and offline because if you’re offline, you can enjoy the things offline such as, playing with friends and having time with your family. Having offline time can also help with your homework because you can have more time with homework. To do this, you can have a schedule and set up a time of the day when you can go online. 3. We should not download our own apps because the Ipad is a learning tool. And even if we can’t download apps iPads can be fun in other ways. We should always respect others and ourselves online so that we can protect each other. Today in exploratory we did the third lesson of digital age literacy. It was a lesson on how to balance using the Internet. We took a quiz on how much we use the Internet. The higher points mean the more you use the Internet. I got a point between 20-49. I thought that it was very accurate. And I thought I needed to try to reduce the amount of time I spend on the Internet.